Trends change quickly in the digital world, and sometimes that’s a good thing. But when it comes to web design, a few misguided design choices can be enough to ruin an otherwise valuable website. If your business is like most in the digital age, then you probably make a considerable investment in marketing to your online customers in Calgary to entice them to your website. The last thing you want is for all of that marketing to pay off in a click through to your site, only to have the potential customer click away immediately due to unappealing design features. We spend a lot of time looking at the habits of good web design, but it’s also important to look at the design trends that are best left to history. With all of the positive changes in web design over the years, poor design features stand out even more today than they did in the past. There are surely economical and cultural reasons that Facebook beat MySpace in the early days of social media. If you remember the time when it was actually a competition, though, then you know the real reason. Who could forget the low quality, auto-play music, dizzying page layouts, and insane color palette of the MySpace days? Those design features were bad ideas even then, and they definitely have no place on your website today. Choose colors that contrast well, and aim for function over fanciness when selecting fonts. Allowing visitors to adjust font size is ideal. Contrast and font choice are especially important given the popularity of reading on small-screen mobile devices. Less is more. Keep your website as free of clutter as possible. Photos, video, and other multimedia content are great tools, just not on the same page all at once. Auto-play is generally a bad idea, whether it’s audio or video. It’s distracting, and site visitors are more likely to click away than to look for a way to shut off whatever is playing. Make video and audio content optional, instead. Format text with readability in mind. Bullet-point lists, bold key terms, and subheads all make your content easier to scan and read. Many of your visitors will be using mobile devices to access your site. If your website doesn’t scale to fit the size of their screen, then they’ll leave and look for a site that does. Navigation is also key, and simplicity is the name of the game. Basically, you want to make it as easy as possible for a visitor to accomplish the task that led them to your site. With a responsive website, you never have to worry about whether your site fits on the screen of any mobile device. Responsiveness is already very important to your site’s success, and that importance will only grow as more people get access to mobile devices with data plans.. There should be no mystery for customers in how to navigate your site. Label buttons and links clearly, and keep your user interface as straightforward as possible. Drop-down menus are a good way to add extra navigation options without overloading the page. Make sure that your site has fast loading times, and be sure to check them often. This is another area where keeping pages free of clutter can be a big help. If your site features outbound links, make sure the site visitor knows where they are being sent. Set all links to open in a new browser tab, so you don’t send visitors away from your site completely. Many of the bad design features on this list were conceived with the goal of grabbing the attention of customers. That’s a sensible goal, but in modern web design you don’t need tricks or gimmicks to grab attention. Instead, aim to captivate your customers with quality content, a sensible layout, mobile-friendly design, and easy navigation. In the end, those design tactics will serve your website much better than the attention-grabbing techniques of days long past. Sorry, MySpace. Ready to build a shiny, new online hub for your business, or give your existing website a boost? 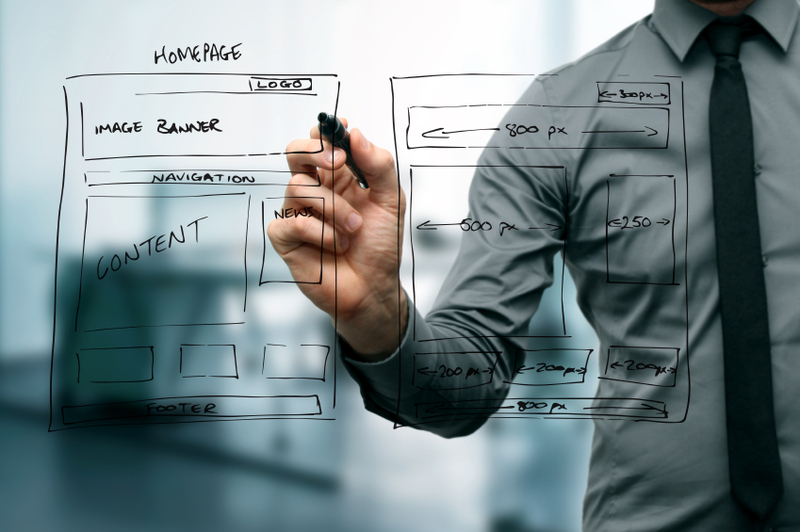 Emphasize Design offers everything you need for excellent website design in Calgary, from creative content to marketing tools that get results. You can even get a beautiful website for free!